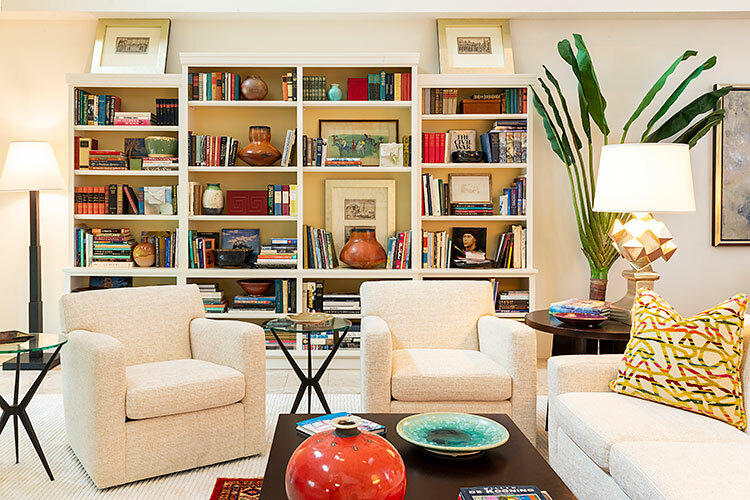 This beautiful, open and breezy golf course home was completely renovated and designed for an owner who loves art, photography, books and hand-crafted ceramics. 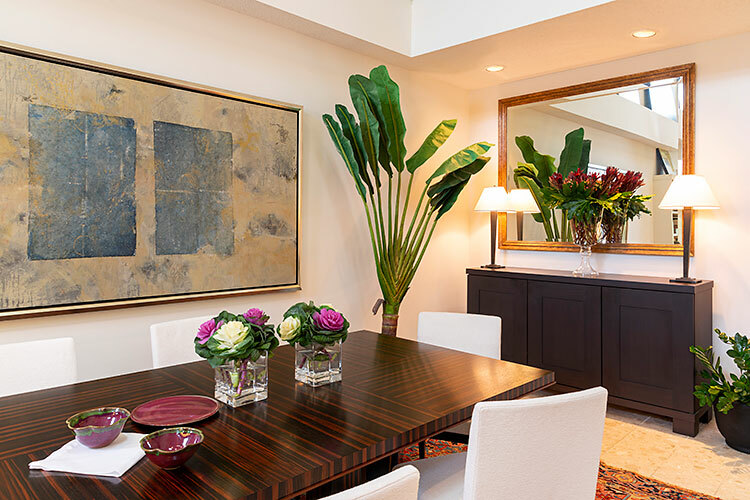 The home has the feeling of an artist’s atelier, lending inspiration everywhere one looks. The modern-styled furniture was designed with the French aesthetic of Christian Liagre, and upholstered with sumptuous textured fabrics to create a unified, but very stimulating sense of space. 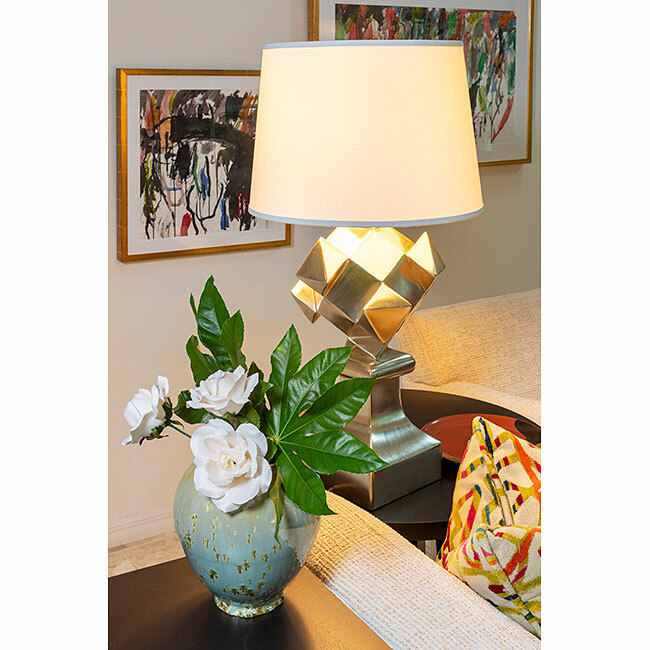 Fanciful, gold leafed “soccer ball” lamps were custom designed and are one of a kind. 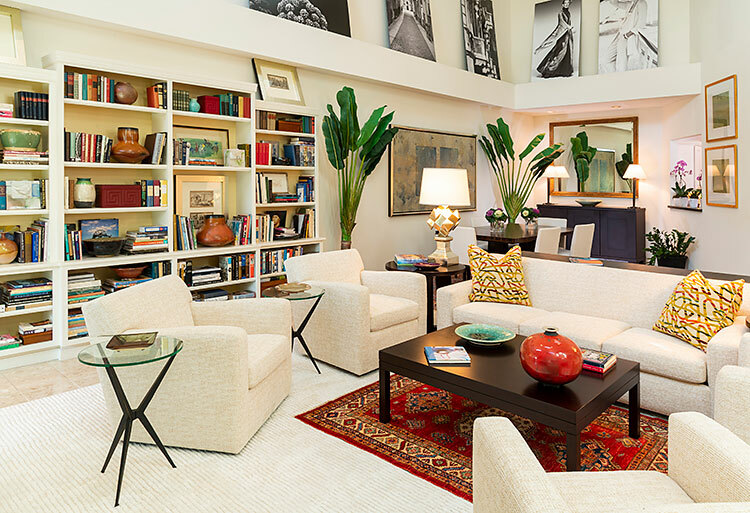 Bold, abstract art is combined with early 20th century art giving the space a timeless ambiance. 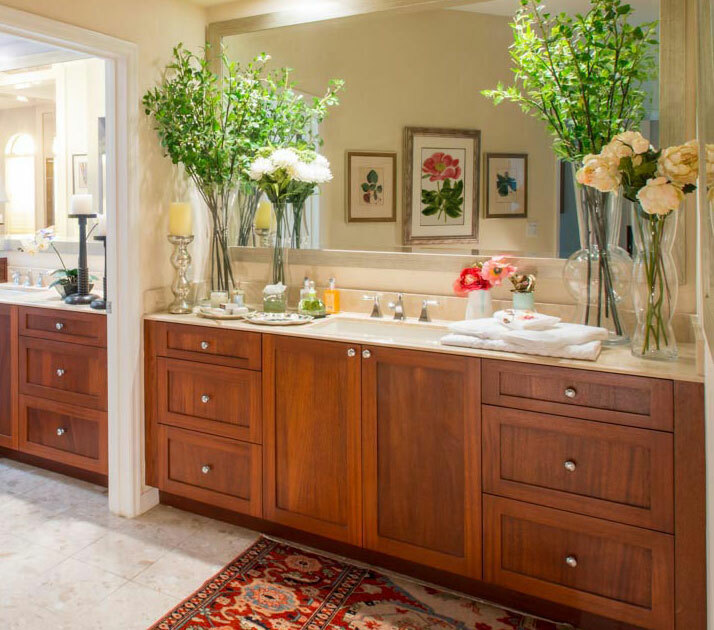 Here and there sits an antique accessory or rug, which softens the look and adds interest. 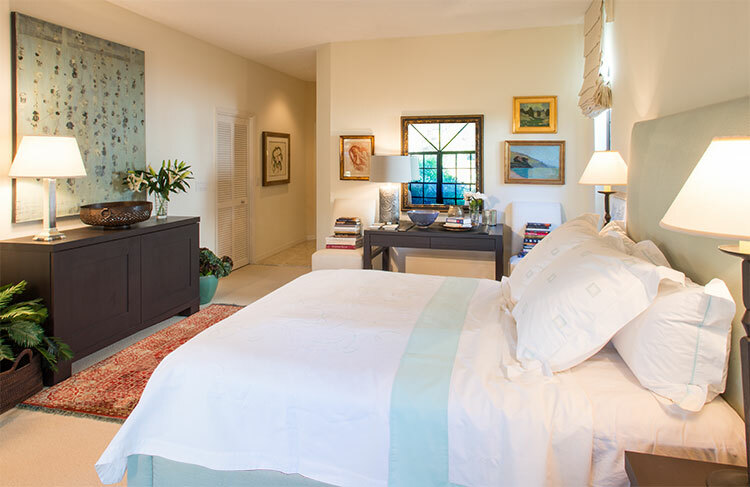 Serenity defines the master bedroom, with its rich yet soothing palette of cream and aqua. 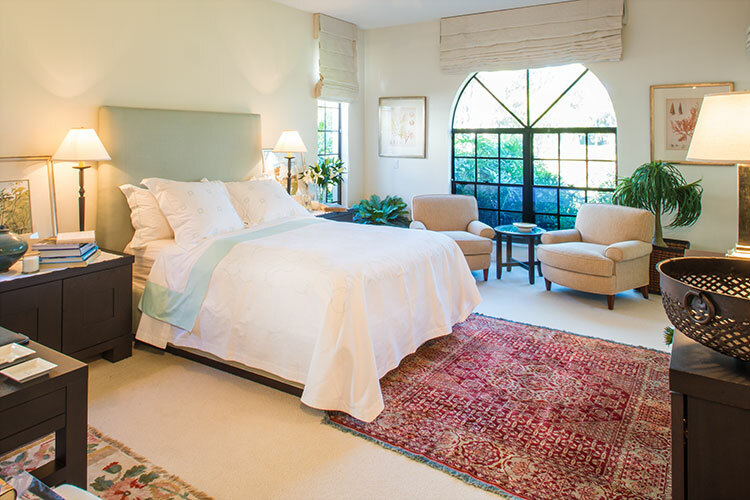 Soft and luxurious bed linens were custom designed and handmade in Italy. 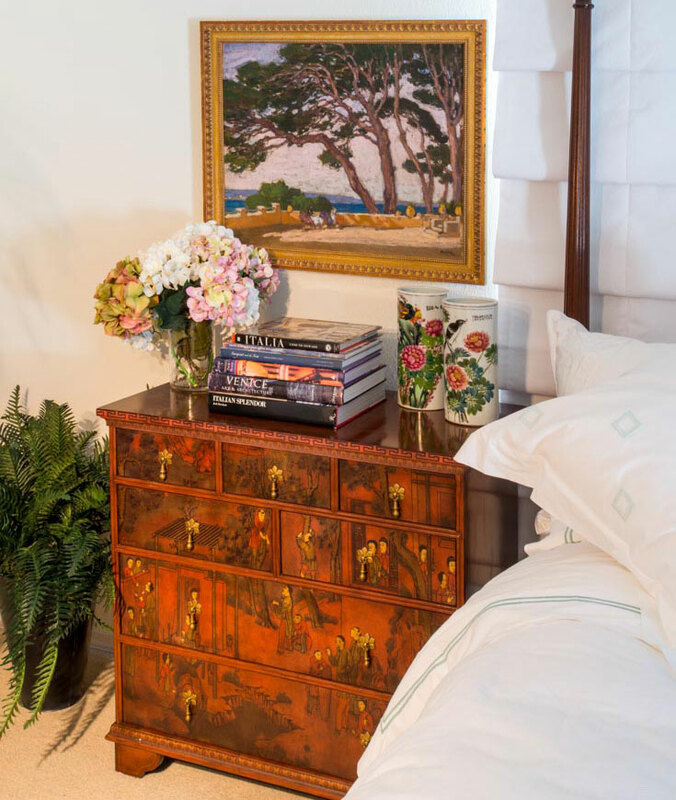 This home is truly a haven for this artist in paradise.